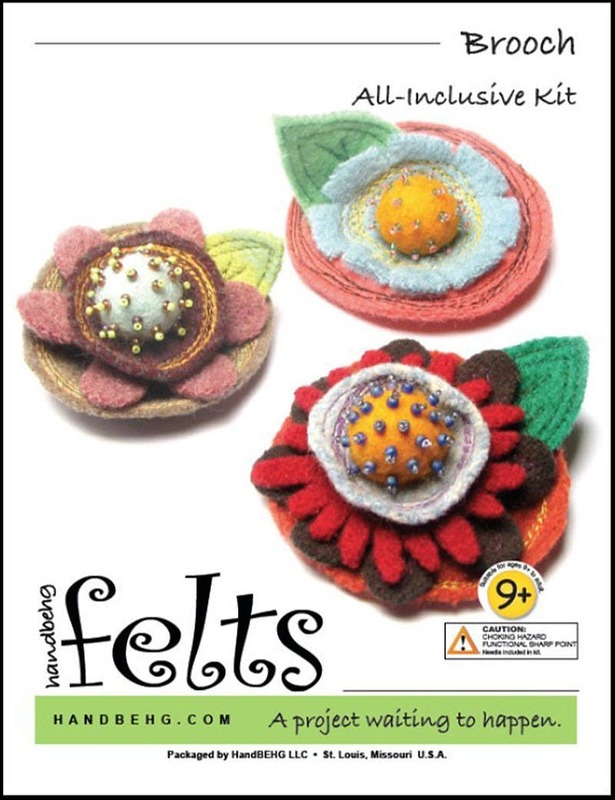 Pretty felt brooch kit is quick and easy. All materials are included in the kit and it is perfect to dress up a jacket, bag or hat! Brooch kit flower parts are of salvaged wool material. No two packages are alike.